A Missoula real estate broker and a local developer plan to break ground on a collection of apartments in Lolo this spring, the first of three phases that will bring more than 70 housing units and retail properties to the area when finished. Jessie Eagen with Eagen Real Estate in Missoula, who serves as the project’s broker, said work on Lolo Peak Village will begin in May. The project includes financial backing from Cornerstone Commercial Investors. 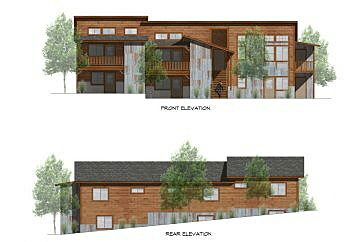 The first phase of Lolo Peak Village includes 34 residential units provided in a collection of six buildings, each with four to six apartments. The project is loosely slated for the corner of Ridgeway Drive and Highway 93. Eagen said groundbreaking is slated for 11 acres formerly owned by the late Earl “Doc” Pryun. The project’s developer, Al Zepada of Zepada Homes, also developed an apartment complex in East Missoula and is co-owner of the Lolo Peak Brewery. The latter sits across the street from the planned Lolo Peak Village. Zepada couldn’t immediately be reached Thursday for comment, though Eagen said Zepada’s long-range plan will transform the area into something of a village with housing and ameneties. The project’s second phase includes what Eagen dubbed a “live, work, play” project with ground-floor commercial topped by housing. The third phase includes a 63-unit apartment project. Stockman Bank also closed on another piece of attached property fronting Highway 93, Eagen said. With housing in tight supply and Lolo evolving into a bedroom community of Missoula, Eagen said the project’s timing is key. Zepada has already built several townhomes in the area and the vacancy rates are low or nonexistent.